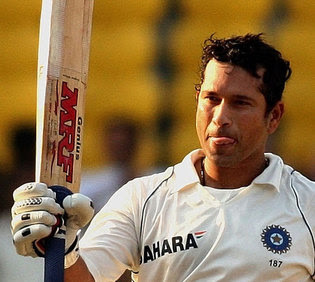 There is no doubt that Sachin Tendulkar arguably the best batsman this world has ever seen. To get to 15,000 test runs - I am not pleased yet with what I have done. Sunil Gavaskar has told me that I have to get to 15,000 runs. He said he would be angry with me and would come and catch me if I didn’t. I admire him so much and to score that many would be a terrific achievement. To win a 2011 World Cup for India. This also came as relief for master fans that he may retire from cricket soon.Who want him to continue for long. So one shouldn’t write off our master blaster now. Because Sachin has single-handedly carried his team across the finish line many times. Anyone who has watched him during the Sharjah Cup in ’98, knows that he can really perform miracles in cricket. Good job on your milestones man! Brilliant effort to complie brilliant feats of a brilliant cricketer...I once had the opportunity to stand next to GOD and just the thought of it gives me goosebumps. He's surreal..sent to this planet just to serve cricket.